 Are you attending SuiteConnect or an Oracle NetSuite customer who ships? You're in the right spot. Pacejet is the 2017 SuiteCloud Partner of the Year and we help customers get the right shipments to the right places more quickly, easily, and cost effectively than ever before. This starts with a best-in-class cloud-based solution, surrounding it with the consultative support that enables customers to thrive. Pacejet is the preferred multicarrier shipping software platform for NetSuite. That's why we process millions of quotes and shipments for NetSuite customers each year. Listen to Joey Rosati, Chief Operating Officer at BarProducts.com, talk about how Pacejet revolutionized the way they ship, saving 30% in shipping costs with 50% less labor. Pacejet helps BarProducts quickly rate shop to find the lowest cost shipping method. Leveraging carrier choice saves over $200,000 per year. BarProducts uses Pacejet with Oracle NetSuite. Join Pacejet's Larry DeLeon, Ron Lee, & Luke DeLeon in the SuiteConnect Expo to discuss what businesses need to consider when integrating a shipping solution with their ERP. Hear stories about how customers like Ryonet reduced shipping costs by over 20% using insights from Pacejet to negotiate lower rates with its leading parcel carrier. With Pacejet, you can easily ship anything to anyone, anywhere, at the best price, from the dashboard of the ERP you’re already using (or getting ready to start using!) Come talk to us to learn more, find us on SuiteApp, or visit pacejet.com/netsuite for more information. Pacejet is the 2017 SuiteCloud Partner of the Year for a reason. We provide one user interface for all parcel and freight carriers while integrating to Oracle NetSuite, WMS, and other apps for freight quotes, rate shopping, packing, paperwork, labels, exports, and more —all without multiple applications or websites. Comply with Amazon Seller Fullfilled Prime's stringent requirements, like shipping 98.5% of orders on-time, while keeping your inventory in your own locations. Having the Amazon Prime badge drives up sales by as much as 20%, which can mean a big revenue boost for growing businesses. Just as customers expect quick and easy shipping in the United States, NetSuite customers are challenged to meet the same expectations internationally.  Pacejet began a new partnership with UPS i-parcel, helping companies achieve faster international ecommerce sales growth. Learn more about carrier solutions. Flexibility is key as businesses expand their shipping capabilities. Pacejet’s RESTful API for SuiteScript allows customers to create custom NetSuite apps to achieve business goals. Pacejet’s API has helped customize the NetSuite solution for Fortune 1000 companies, top internet retailers, and fast-growing manufacturers.